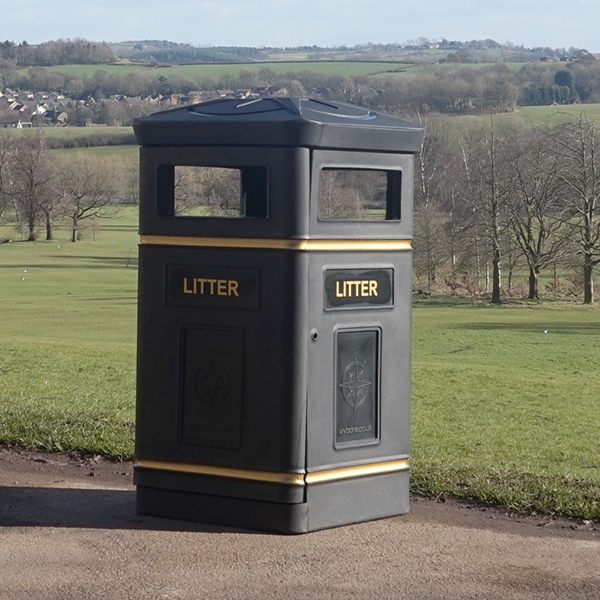 The Compass Litter Bin is a tough, durable polythene litter bin that is through moulded in UV stabilised colour to ensure it won’t fade over time. 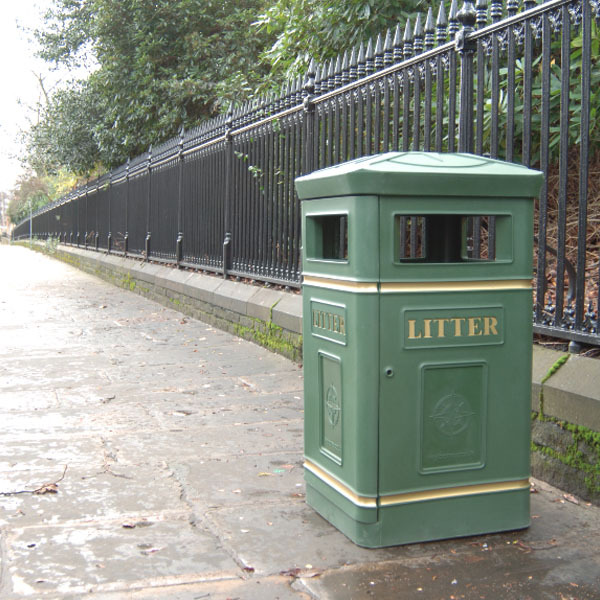 Full length piano hinge opening door and a slam lock feature as standard. 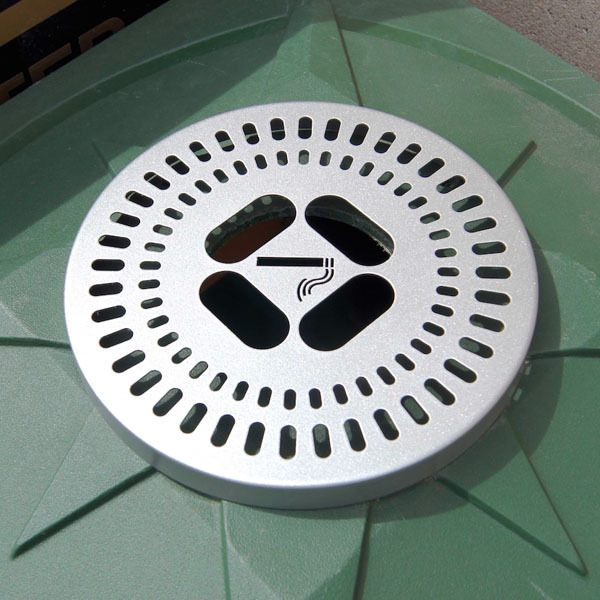 Optional ashtray available as shown above. 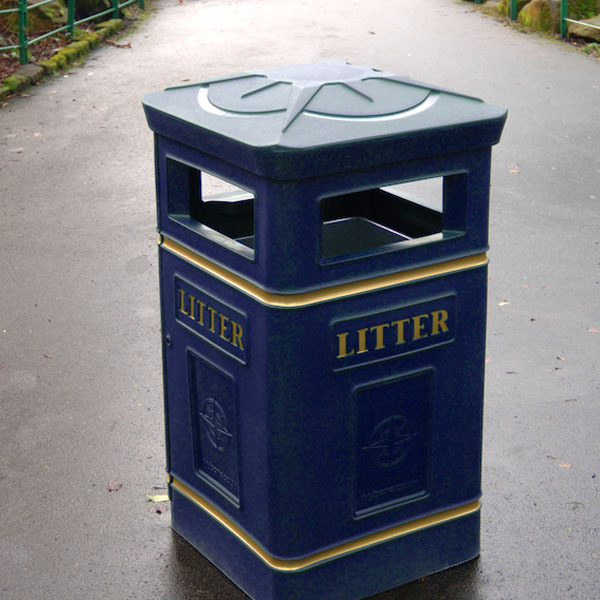 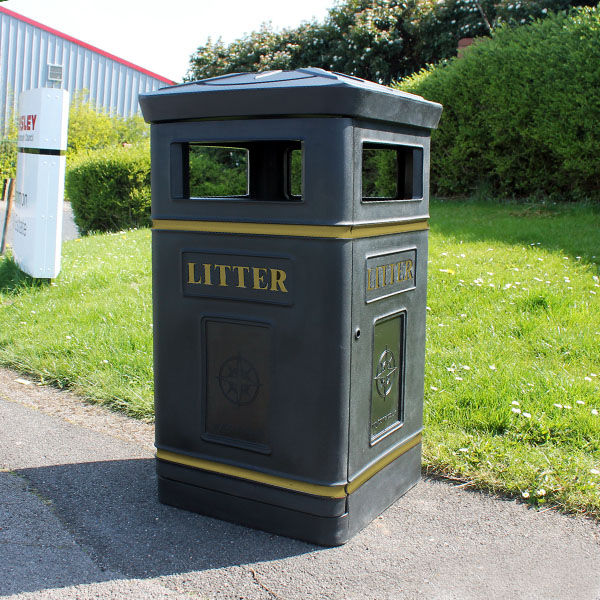 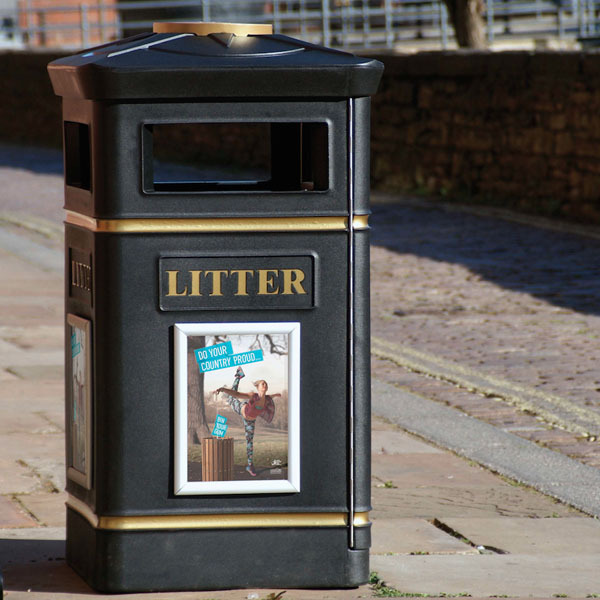 The Compass Litter Bin includes moulded banding and LITTER text to all sides.